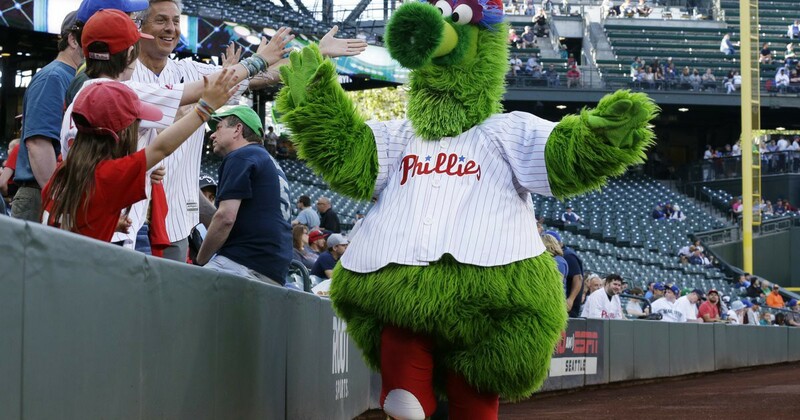 The Phillie Phanatic mascot greets fans before a baseball game between the Seattle Mariners and the Philadelphia Phillies, Tuesday, June 27, 2017, in Seattle. As far as most Americans are concerned, the Yankees are still plenty hateable, thank you very much. In fact, they’re the most hated MLB team. That’s according to a recent FiveThirtyEight survey, conducted June 30 to July 8. New York Yankees were viewed favorably by 44% of fans, but unfavorably by 48%, making the Yankees the only team with a negative overall rating. 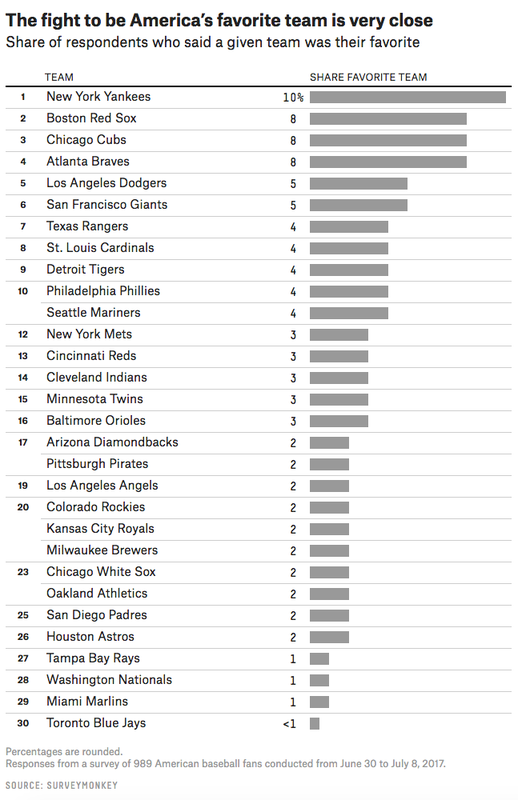 Yet just above the Yankees with the second-worst rating are the Phillies. 33% view the Phillies favorably, but 29% view the Phightins unfavorably, giving them a +4 overall rating. To be fair, that leaves 38% who had no opinion. Still, why such a crappy rating? On SportsRadio 94 WIP Sunday morning, host Glen Macnow offered up a theory: Fans across the country associate the team with the city’s fans and the (unfair and often wrong) stereotypes about us, à la snowballs at Santa Clause. It’s probably the most plausible explanation. Success often breeds contempt, but the Phillies haven’t been good since their 2007–11 playoff run ended. Other perennial contenders like the Cardinals and Giants are high on the list. On the flip side, the Phillies have the most losses in sports history. But what about loveable losers? The Cubs — until last year — have been defined by futility, but are loved for it, as they are first on the favorability rankings. One positive to take away from the FiveThirtyEight survey is that the Phillies were tied for 10th with the Mariners for most fans calling them their favorite team (four percent), just above the hated Mets.